BERLIN, Germany -- Rarely has Germany put so much pressure on one of the EU’s Eastern neighbors as it is now exerting on Ukraine. The outcome of that pressure will have big consequences for the EU’s—and Russia’s—policy toward Ukraine. For months, German Chancellor Angela Merkel has made it clear that Berlin will veto a new association agreement between the EU and Ukraine if the latter’s president, Viktor Yanukovich, does not make concessions over the imprisoned opposition leader Yulia Tymoshenko. In 2011, Tymoshenko, a former prime minister, was given a seven-year prison sentence for her alleged abuse of power and involvement in a murky energy deal with Russia. While she is certainly a controversial political figure with some darker spots in her past, that trial was clearly unfair. Since then, the German Chancellery, Foreign Ministry, and even the president have intervened on behalf of Tymoshenko, who is now ill and hospitalized. They insist that Ukraine’s future with the EU depends on Kiev respecting the rule of law and meeting European judicial standards. In other words: how it deals with the Tymoshenko case. EU officials have called for her to be pardoned. Yanukovich, however, does not seem inclined to bend. He insists that Tymoshenko, the leader of Ukraine’s Orange Revolution of 2004, was convicted at a fair trial, and that as president he cannot interfere in judicial affairs. The result is that the EU’s strategic policy toward Ukraine has become hostage to this test of wills between Berlin and Kiev. Ukraine’s political and economic direction now hangs in the balance just weeks before the EU’s Eastern Partnership summit in Vilnius. At that meeting in November, the EU is offering the six Eastern Partnership countries—Armenia, Azerbaijan, Belarus, Georgia, Moldova, and Ukraine—an opportunity to forge closer ties with Brussels. In order to give Kiev a face-saving option, Guido Westerwelle, Germany’s outgoing foreign minister, last week offered Tymoshenko medical treatment in Germany. Tymoshenko has always refused to leave Ukraine. But earlier this month, she told Aleksander Kwaśniewski, a former president of Poland, and Pat Cox, a former president of the European Parliament, that she was now prepared to go abroad for treatment, and without a political pardon. That did not mean that she was emigrating, Tymoshenko told Cox and Kwaśniewski, who head the European Parliament’s monitoring mission to Ukraine. Indeed, this controversial, feisty politician is expected to bide her time until 2015 and then try to run for the presidency. Yanukovich, who regards Tymoshenko as one of his main political enemies and challengers, has yet to reply to Westerwelle’s offer of medical treatment. It is hard to know how Yanukovich will get himself out of this corner. “If Tymoshenko is released, he will acquiesce to considerable pressure from the West,” argues a new report by the Center for Eastern Studies in Warsaw. Yet even if he does allow Tymoshenko to travel to Germany, there is no guarantee that Ukraine will actually pass and implement the legislation set out in the association agreement. Štefan Füle, the EU’s enlargement commissioner, said last week in Kiev that Ukraine still had to show concrete progress in reforming its electoral law and judiciary, including the state prosecutor’s office. This uncertainty over Ukraine’s commitment to reform is exactly what some senior German policymakers fear. “We have seen how often Yanukovich has reneged on his promises while always trying to play Russia and the EU off against each other,” said one senior German diplomat. But what happens if Kiev does meet the EU’s conditions for signing the accord without releasing Tymoshenko? How would Merkel respond then? Can the German Chancellery really afford to separate Tymoshenko from the rest of the EU reform package that each Eastern Partnership country must implement in order to obtain closer economic, trade, and political ties with Europe? 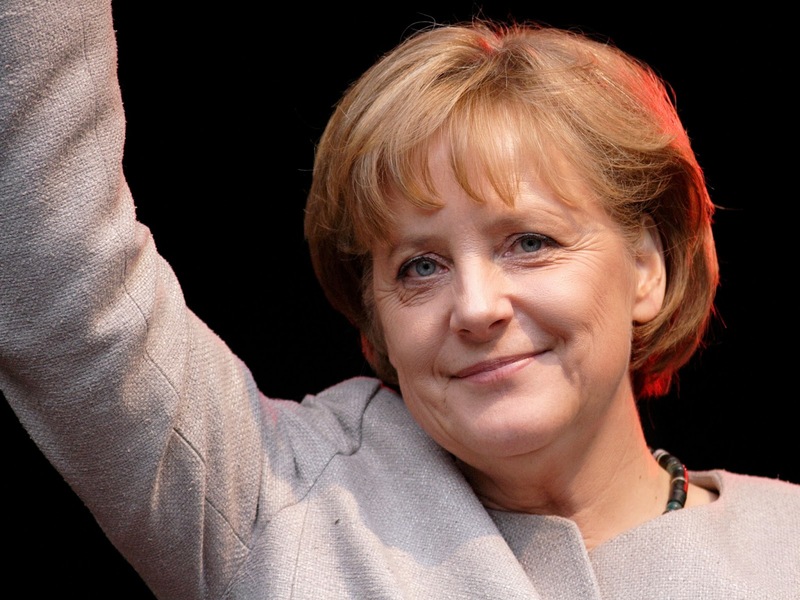 In fact, if Merkel overplays her hand, it is Russia that will be the winner. Russian President Vladimir Putin loathes the idea of Ukraine moving closer to the EU. And he loathes the idea of Merkel taking such a special interest in Ukraine. Russia is doing everything in its power to intimidate the EU’s Eastern neighborhood countries into not signing any accord with Brussels. In the run-up to the Vilnius summit, Moscow has been threatening the countries with trade embargoes and cuts in energy supplies. The longer the Tymoshenko controversy drags on and keeps the EU association agreement from being signed, the better for Putin. And for him, the fact that the affair has divided Ukraine’s political elites must be the icing on the cake.